For the third year, Hope International University has been named to the President’s Higher Education Community Service Honor Roll. The Honor Roll, administered by the Corporation for National and Community Service (CNCS), recognizes institutions of higher education that support outstanding community service programs. According to CNCS, the Honor Roll President’s Award is the highest federal recognition for the commitment of higher education institutions to service learning and civic engagement. Hope was recognized for three particular areas: Mexico mission trips, local community service, and the annual Happy House event. 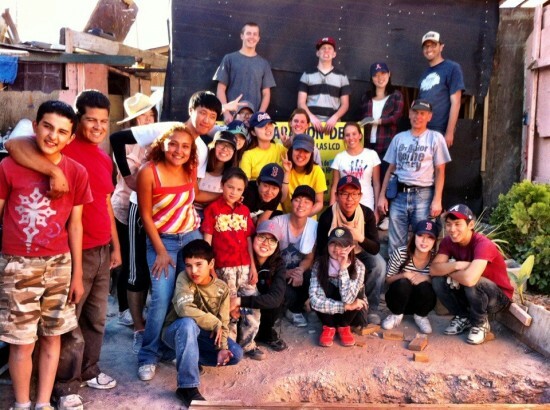 More than thirty years ago, two HIU alumni started Amor Ministries, a nonprofit that organizes mission trips to Mexico. 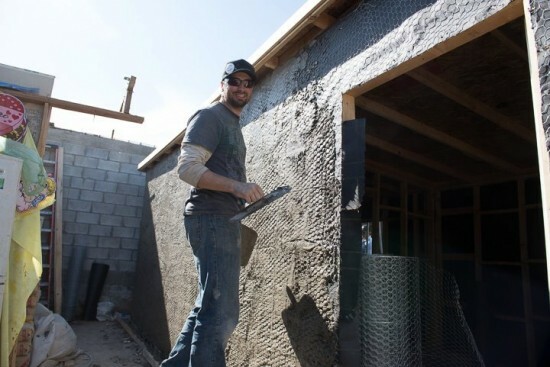 HIU has a longstanding partnership with Amor and, last fall, 78 students and two staff members traveled to Tijuana, Mexico, on four Saturdays to serve a family of eight by helping them build a house. The trips consisted of long work days that included tasks ranging from mixing the cement for the foundation to finishing the roof by hand. In April, 17 students and two staff members spent their Spring Break as camp leaders during Amor’s Project Barnabas. On the first and third Sundays of each month, students volunteer at the Heart of Downtown Fullerton Food Bank. This past academic year, more than 50 students volunteered at this food bank. The students help with distribution of food, build relationships with those visiting the food bank, and create craft activities for the children. Each week anywhere from 60 to 100 families, totaling about 200 individuals, visit the food bank. Hope students have stepped up to the challenge to serve the community and to look after those who are often overlooked. This annual event, the largest of Hope’s community events, is part of the mission to develop student leaders. Each year, about 1,500 community members, many from low-income neighborhoods, visit the HIU campus for a safe Halloween event. The free event is run entirely by students and requires about 1,000 hours to produce. Activities include Haunted Halls and trick-or-treating in the dorms, bounce houses, carnival games, arts and crafts, face painting, magic shows, drama presentations, and more. The Liberal Arts and Athletics Departments assign craft preparation and execution as part of their curricula. Leadership classes require participation, and other classes offer extra credit to students who volunteer. Professors, staff, and students donate candy and baked goods and attend in costume. Local businesses donate food, prizes, and other materials. The community enjoys a safe, free program where children are valued and loved.